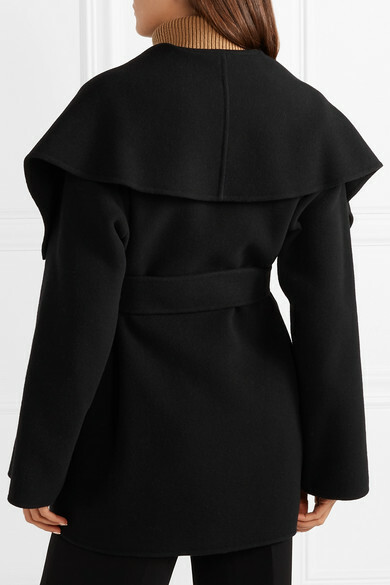 The Row's pieces will look good for seasons to come and are so well-made you won't have to worry about them lasting. 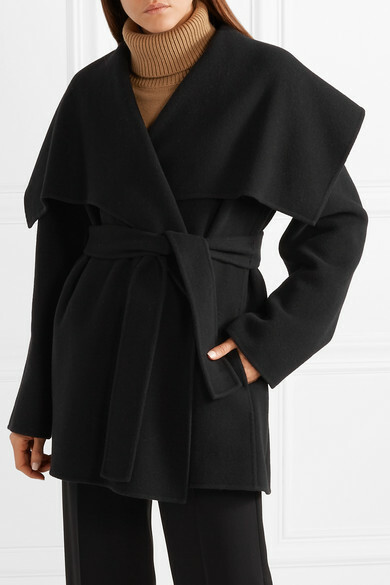 Made from wool-blend felt that's so warm and soft, this oversized 'Disa' jacket has an exaggerated cape-effect collar and a self-tie belt to flatter your figure. 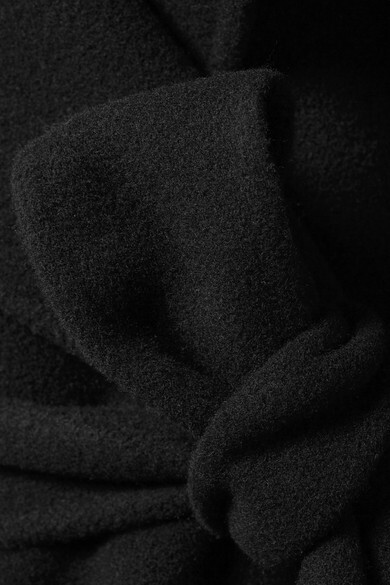 It's lined with silk through the sleeves and will fit comfortably over chunky sweaters or multiple layers. 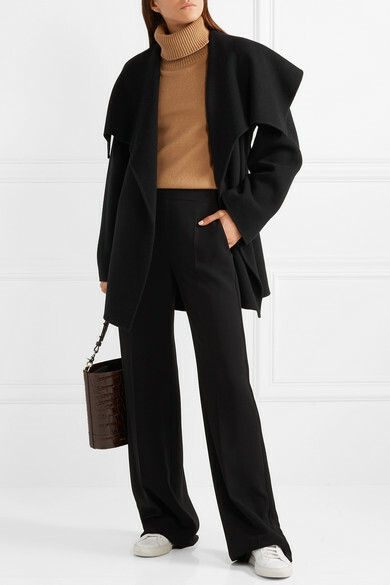 Shown here with: Burberry Sweater, Max Mara Pants, Chylak Tote, Common Projects Sneakers.